Esoteric’s proprietary current transmission method “ES LINK Analog” attracted great attention among enthusiasts for its ability to utilise the high performance of the HCLD (High Current Line Driver) buffer circuit and its capacity to supply power at high speed. "ES-Link Analog" is Esoteric's proprietary "current transmission" audio signal link characterised by a more powerful, clear, and dynamic sound. Compared to conventional voltage line audio links, cable impedance has no negative effect on signal transmission ensuring that it retains signal clarity. 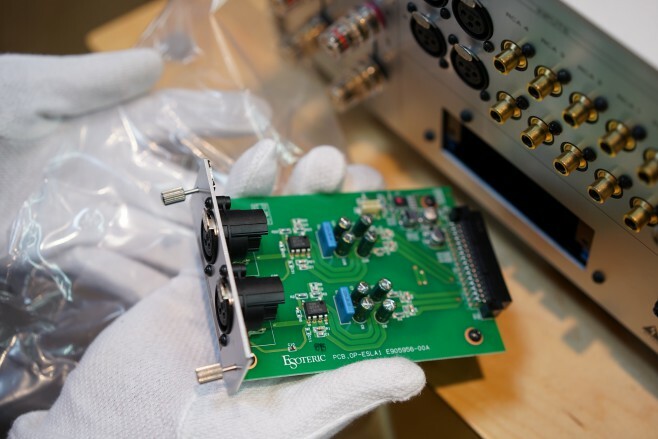 This is the ideal analog audio transmission as it is free from impedance of signal route and fully maximizes the system's potential when connecting two compatible devices. The ability to produce comparatively large currents and high slew rates are two of the most important factors that enable an analog output circuit to accurately transmit the wide dynamic range of a music signal without degradation. Having the HCLD offers the ultimate performance as a line driver by adopting high-performance elements with a high current output and exceptionally fast slew rate (2,000V/μs) for excellent response speed. Two of these buffer circuits are employed per channel. By configuring them differentially to drive the XLR outputs and in parallel to drive the RCA outputs, the available instantaneous output current is maximized. By maximizing instantaneous current output, it reproduces the full dynamics of music with breathtaking realism. The ES-LINK Analog system is built on the premise of this HCLD. Esoteric explains, "The signal path is influenced by the impedance of the cable and it is possible to forcefully transmit a pure signal." Though the change in impedance is small, the amount of current flowing in the cable is about 50 - 100 times as much as the general balanced transmission. 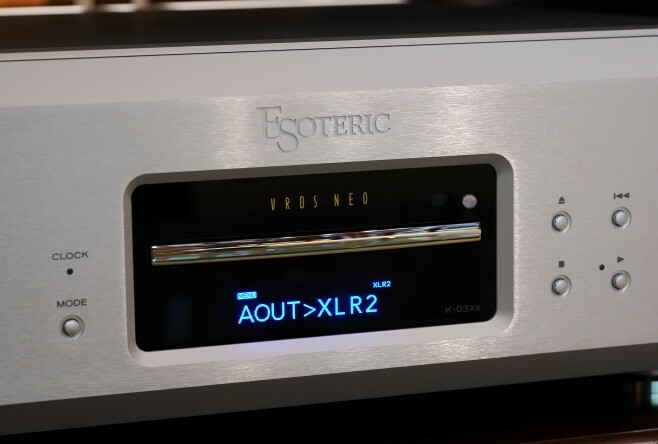 While CD/SACD Players Grandioso K1, K01Xs, K03Xs, K05Xs and K07Xs are fitted with ES LINK Output (ESL-A), only Grandioso F1 Integrated Amplifier is fitted with ES LINK Input. In order to include ES LINK Analog in the rest of the integrated amplifiers, Esoteric introduced ES LINK Optional Board (OP-ESLA 1) that can be inserted on the amplifier. This option board OP-ESLA 1 used in the slot of the back panel as seen. It can be installed in the rear of F-03A, F-05, F-07, and one more line can be added to Grandioso F1. Fix the option board cover firmly back. Connect to the ESL-A output terminal of the compatible Esoteric source (K-03Xs in this example) using balanced cables. The ES - LINK Analog output terminal on the K-03Xs side is also using conventional XLR output terminal.